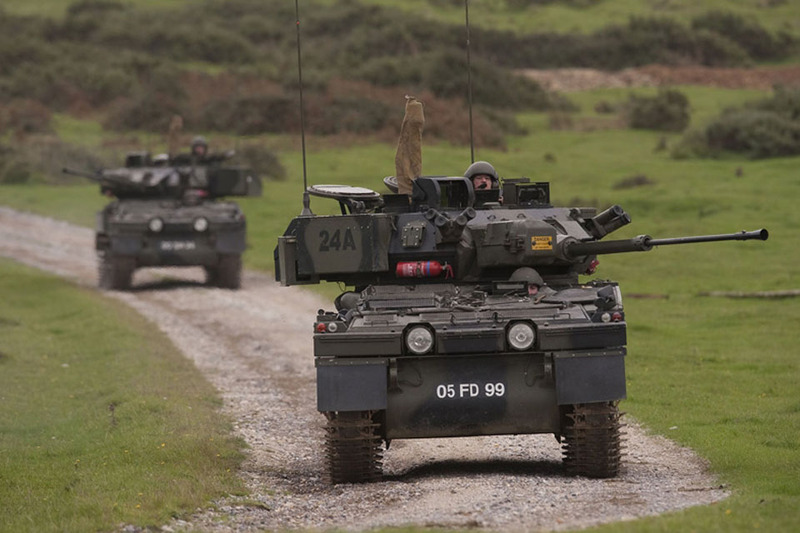 The Lulworth Ranges are part of the AFV (Armoured Fighting Vehicles) Gunnery School, an important training establishment of the British Army. They include the coast from west of Kimmeridge Bay to east of Lulworth Cove, as well as the village of Tyneham, Worbarrow Bay and a number of other walking routes. For operational and safety reasons, access to the Ranges is restricted to specific times. The exhibitions in Tyneham school and Tyneham church are open from 10am until 4pm. When no firing is taking place, the gates to the Range Walks are opened as near to 9am on the Saturday morning as possible and remain open until 8am on the Monday morning. The Elmes Grove gate that allows vehicle access to Tyneham is opened at 9am daily when no firing is taking place and is closed at dusk each evening.